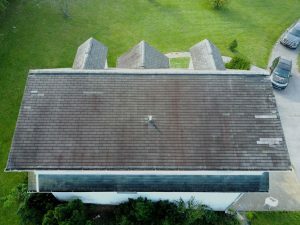 Drone Photography and Inspections | Lexington KY Home Inspections | Bain Property Inspection, Inc.
Bain Property Inspection provides aerial photography and videography services in Lexington, Kentucky and surrounding areas. 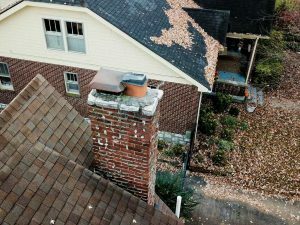 We also perform aerial inspections of roofs, chimneys, towers, tanks, and other structures that can otherwise prove difficult to access and assess. 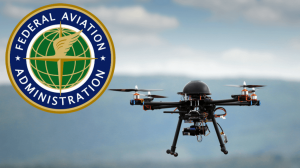 We are FAA-certified commercial drone pilots. 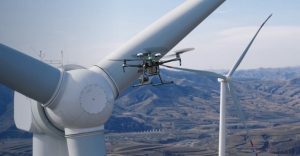 These drones are also referred to as UASs, or Unmanned Aerial Systems. 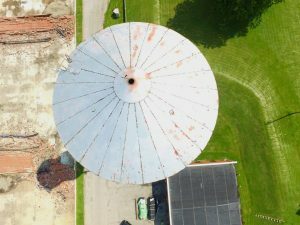 We are fully insured, and have more than five years of experience using drones for commercial applications. 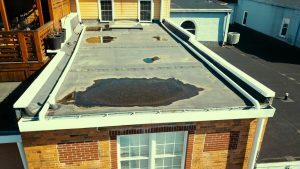 John’s experience as a builder, a contractor, and a property inspector provides him with a wide breadth of knowledge regarding mechanical systems and their components. 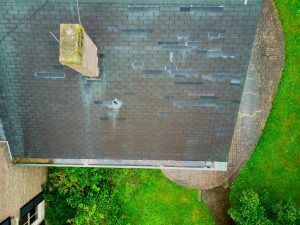 Unlike most drone operators, he will understand the purpose of why you require photographs and/or videos, and make certain any and all crucial components are captured with the detail necessary for your project. Here are examples of recent projects we have completed. 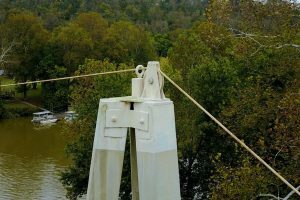 These photographs were taken to aid a structural engineer evaluate the pulley and cable system for a ferry that makes daily trips across the Kentucky River. 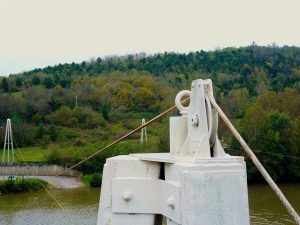 For this project, an engineer was tasked with dismantling a large tank so it could be relocated to a different location. 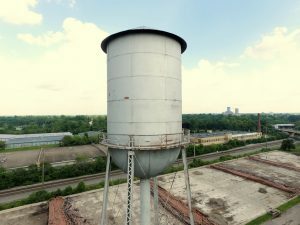 The engineer needed to understand how the various components were fastened together to determine the best means by which to disassemble the tank at its existing location, and then reassemble it when it reached its new location. 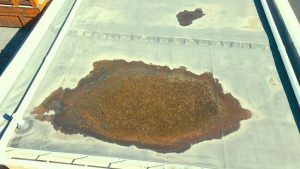 This membrane roof was leaking due to improper installation techniques that led to excessive pooling. 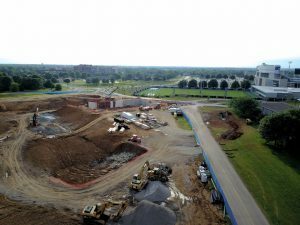 We employ drones to photograph construction sites so developers can chart progress. 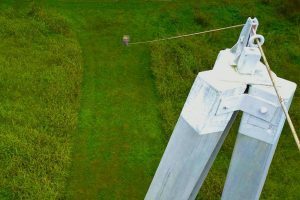 We can also provide 3-D models from which volumetric measurements can be determined. 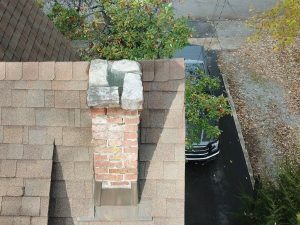 We provide aerial roof-and-chimney inspections. 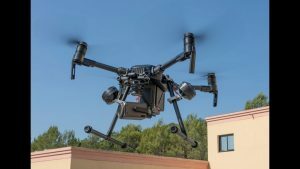 We have a suitable drone for your unique application, and we’ll provide you with precisely the information you require. 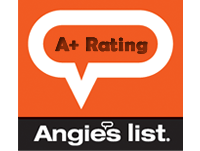 Please call today for a free consultation.